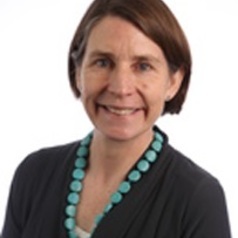 Dr Patricia Sellick is an experienced practitioner who has worked for Minority Rights Group International, Save the Children Alliance, Voluntary Service Overseas, and both UK and US Quaker organisations. She has lived and worked in the Middle East, Central Asia and Horn of Africa designing, developing and managing programmes in conflict affected areas. She has also conducted research on Muslim Housing Experiences in the UK for the Oxford Centre for Islamic Studies and the Housing Corporation. She has a PhD in Peace Studies from Bradford University. The role of international non-governmental organisations (INGOs) in areas of violent conflict with particular interest in the relationship between INGOs and the people directly affected by violent conflict. My geographical areas of expertise are Middle East, Central Asia and Horn of Africa. I am motivated by my experience of working with people living with conflict across the Middle East, Central Asia and Horn of Africa as well as in the UK. I thrive in a team of many faiths and backgrounds where work is based on shared values and critical analysis, and is impact-oriented. As the leader of the research group in Peacebuilding and Conflict Transformation I am keen to develop understanding of how nonviolent actions can achieve strategic goals and transform conflict based on inclusive political processes.